The stripes in the 14kt gold football pendant have approximately a 1/4 ct. of diamonds. The football from end to end is 1 1/4" in length. 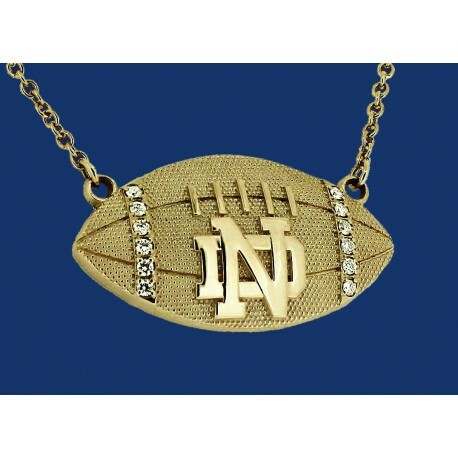 The 14kt gold cable link chain attached to the football is made so it can be worn at either a 18" or 20" length. Sharp 3 dimensional detail on football.